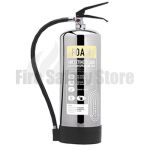 Here at Fire Safety Store, we have a huge selection of AFFF (pronounced “A triple F”) fire extinguishers, also known as foam fire extinguishers. 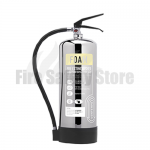 AFFF fire extinguishers are present in a lot of buildings worldwide. 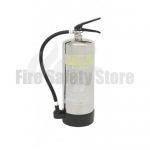 They can be used on both Class A and Class B fires containing materials such as wood, paper and other solid combustibles as well as flammable liquids including petrol and spirits. In compliance with BS EN3 guidelines, products supplied by us consist of the recognisable red body as well as an identifiable band of a secondary colour. 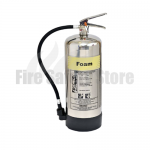 In the case of foam extinguishers, there is a cream band applied to each canister. 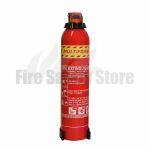 These fire extinguishers are almost commonplace in businesses such as petrol station forecourts and factories where there is a dual risk of solid materials and flammable liquid fires. Their adaptability to both fire classifications make them the ideal solution in many cases. They are also much lighter than similar water filled extinguishers making relocation as well as firefighting that bit easier. 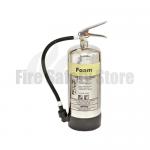 AFFF fire extinguishers contain a foam which produces a skin like covering to help cool searing temperatures. As well as slashing the temperature, this starves a fire of oxygen and breaks the fire triangle resulting in a struggle for the blaze to stay alight. Another key property of the foam is its ability to seep its way into absorbent fuel sources which prevents any nasty reignition risks. 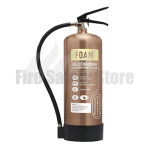 Foam extinguishers should never be used on flammable gases or cooking fats and oils. In the most part, they should also never be used to tackle electrical fires. They may be used if any power supplies are not connected but will result in any live electrical equipment becoming irreversibly damaged and this is strongly advised against by experts. 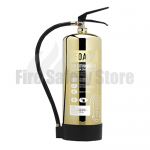 We have AFFF extinguishers available in five different sizes: 1 litre; 2 litres; 3 litres; 6 litres and 9 litres. 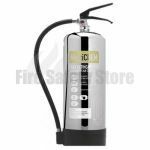 With all of these capacities available, you can be sure that you will find the resolution you require right here from Fire Safety Store. 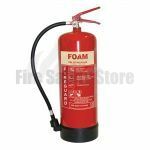 Every single foam fire extinguisher we provide is Kitemarked and manufactured to BS EN3 standards. Along with these regulatory requirements, we go the extra mile here and provide a five year manufacturer’s warranty as standard to protect the lifespan of your potentially lifesaving equipment. As an added bonus, all of our extinguishers are supplied with a wall mounting bracket for easy fitting. Order before 2pm and you will receive your items the very next working day. 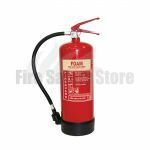 That goes for everything we supply across the Fire Safety Store site. Call us on: 0800 3160890 if you have any queries about our foam fire extinguishers or any other of our products.